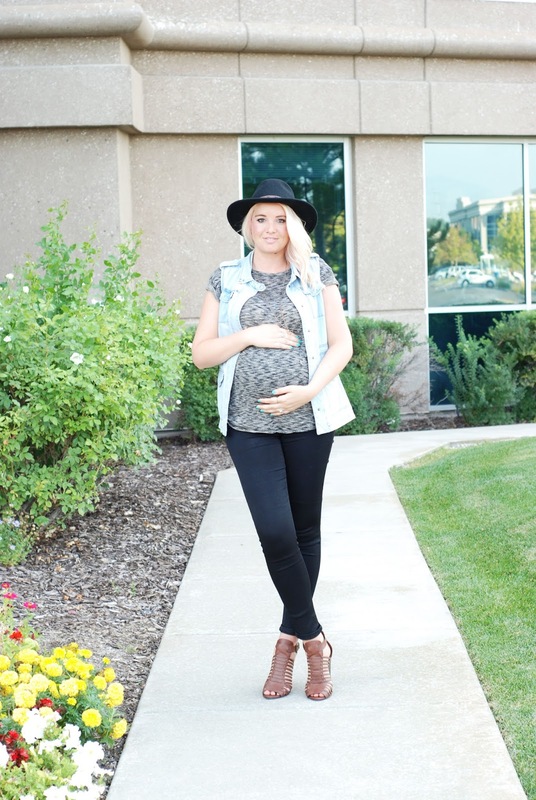 HERITWINE MATERNITY GIVEAWAY + #WIWT LINK UP! I can't believe how fast time is flying!! August is winding down and we are just about into September. I'm slowly breaking out all my fall clothing and I love it! I am in search of great hats. They are hard to come by because I apparently have a bigger head than most women. :/ This was a good find recently and I wish it came in 4 other colors. Those are the times to stock up right?! 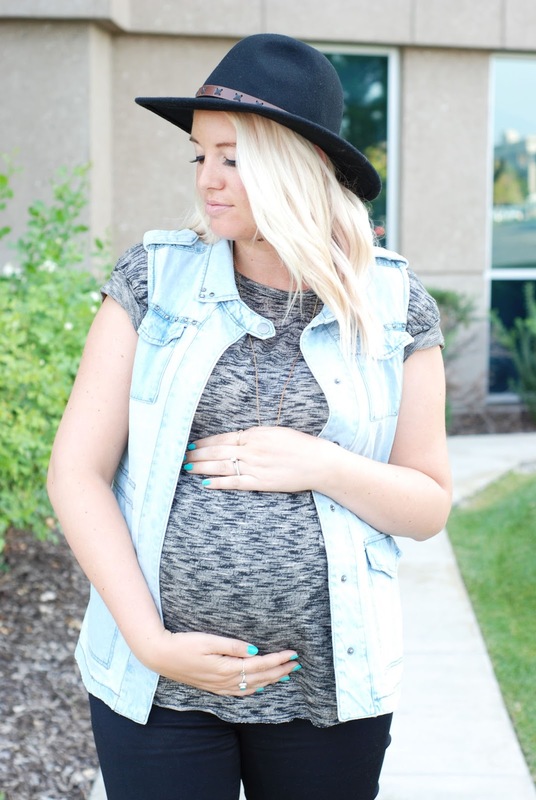 Being pregnant has taken a toll on just about every aspect of my life. The most important thing right now is listening to my body and making sure I sleep as much as I can, eat healthy-ish (this is the hardest) and find relaxing opportunities. I found a body scrub that I just love. 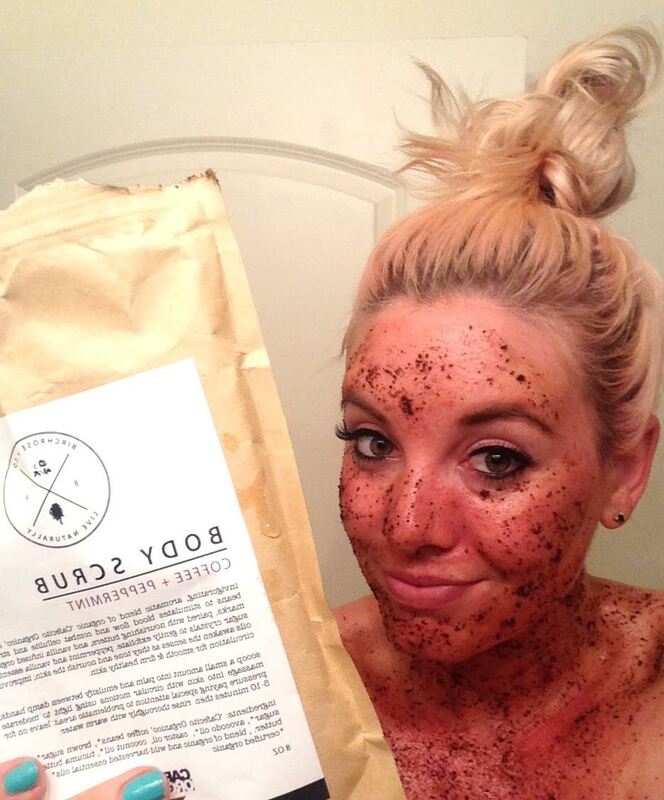 There are so many benefits including exfoliation, skin regeneration, helps with cellulite, and it smells so yummy! To grab some of your own use the code "redcloset" for 30% off your order!! 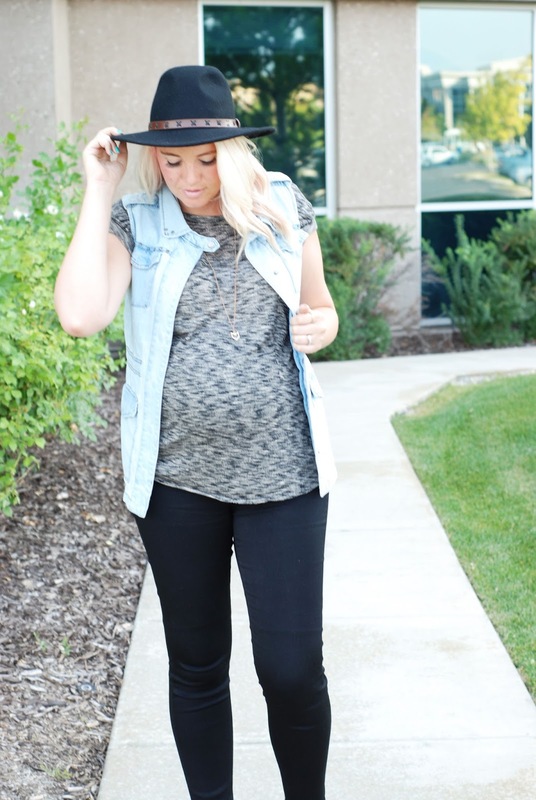 Today I'm wearing another amazing top from Heritwine Maternity. 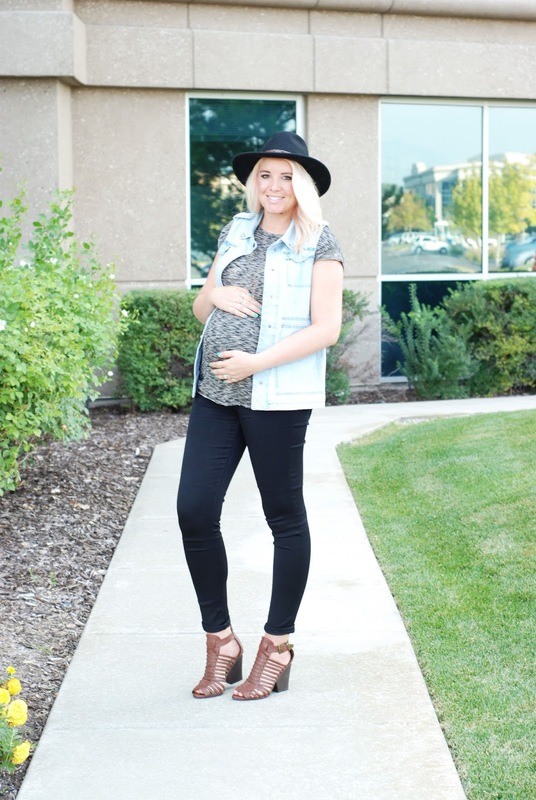 AND Heritwine Maternity is now offering FREE SHIPPING!! Woo! 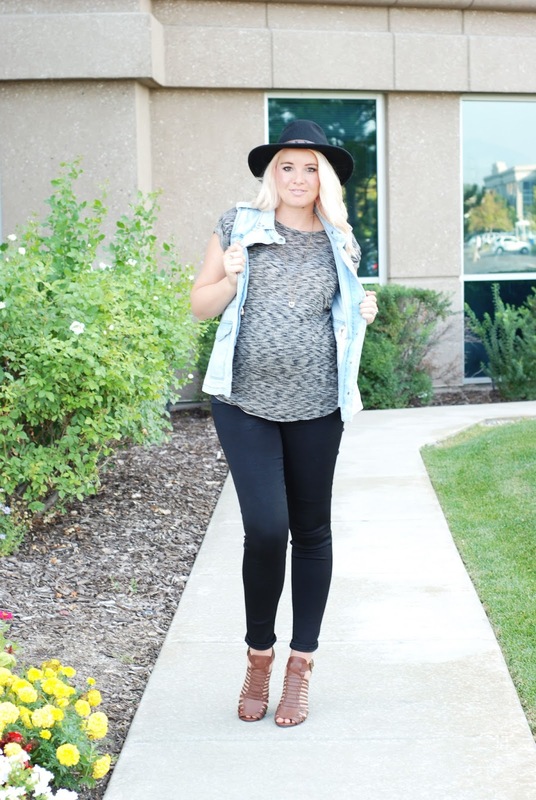 This top was the perfect top to layer and fit my belly just perfectly! 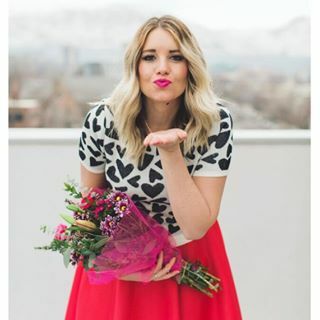 Today I'm giving away a $25 store credit so enter below and good luck! !